Within seven months of his fasting experiment, the Madison, Wisconsin, bus driver lost 30 pounds, or more than 10 percent of his bodyweight, reaching his lowest weight in 15 years. I recently got in touch with Kane, a reader who’d emailed me in the past, to hear about his experience with fasting because I’ve been noticing the buzz growing louder lately. Famous enthusiasts include reality TV star Kourtney Kardashian, musician Moby, and model Molly Sims. Actor Chris Pratt has been Instagramming about his Bible-based fast. In the media world, New York Times economics columnist Paul Krugman and MSNBC host Chris Hayeshave mentioned their fasting routines. Over the past couple of decades, as dozens of diets and weight management schemes have come in and out of fashion, fasting has steadily gained popularity. Meanwhile, there’s a growing scientific literature on the subject — exploring whether different types of caloric restriction can burn fat, stave off and reverse disease, and even help you live longer. First, let’s be clear on what we’re talking about when we talk about fasting. There are a number of different types of fasts, many of which are nicely outlined in this review article and this one. 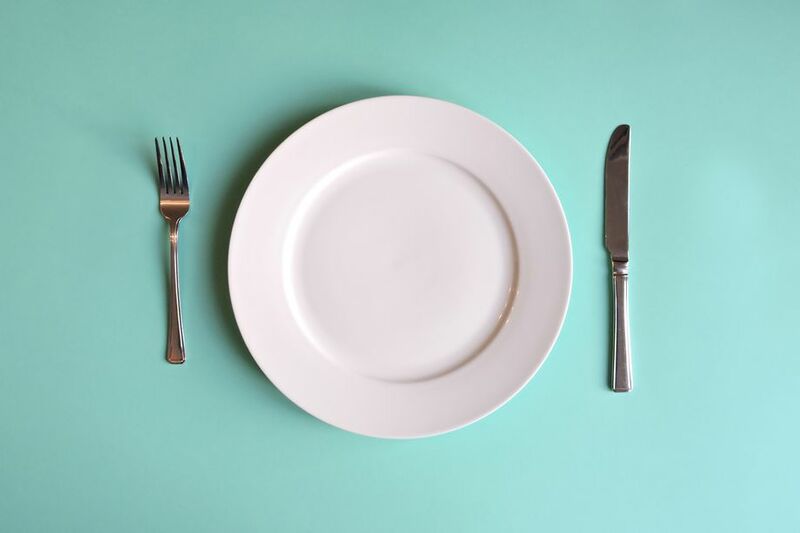 Fasting-mimicking diet, a plant-based diet that involves eating very few calories — through light foods like soups, energy bars, and energy drinks — for several days each month. Researchers who study fasting developed this diet because it gets people into a fasting state but doesn’t compromise their body’s access to nutrients. Researchers have known for decades that when you restrict the food intake of lab rats — and many other species including mice, hamsters, and even yeast — you can extend their life span. In humans, fasting seems to enhance the ability to counteract the disease process. Now, here’s an important catch: The research was still pretty short-term, only looking at biomarkers in people during a few months. So it’s not clear what effects on disease risks longer-term fasting will have, even though the changes to biomarkers look promising. Some of the best evidence on the impact of fasting on bodyweight and fat comes from a December 2018 systematic review. The researchers looked at randomized controlled trials of intermittent fasting and found that the people who fasted lost about 4 to 8 percent of their original bodyweight, on average. So fasting worked, but, interestingly, it didn’t outperformregular, continuous calorie restriction (“eat less every day” dieting), and it didn’t lead to dramatic weight loss. Intermittent fasting also improved people’s blood sugars, lipid values, and blood pressure about as much as the traditional daily (non-intermittent) energy restriction. Debra Safer, a professor of psychiatry and behavioral sciences at Stanford University, told me in 2016 that people with troubled relationships with food should think twice before fasting to lose weight. In one study, researchers called for a head-to-head study comparing the health effects of different patterns of food consumption. Having talked to researchers about whether to eat breakfast and the health impact of eating late at night, one thing is clear: The scientific community is still very unsure about the best timing and frequency of eating for health. In one study, researchers called for a clinical trial tracking people who follow multiple eating patterns — from a regular three-meal model to complete fasts — since that kind of comparative study has never been done. For some, fasting periodically may be a helpful weight control strategy. A couple of the intermittent fasting adherents I spoke to, including John Kane, told me they find it simpler to avoid food from time to time instead of worrying about everything they put in their mouths. Esta entrada se ha publicado en Alimentación, Artículo, Cosas Nuevas, Efectos Secundarios, Investigaciones, Nutrición, Prevención, Sabías que, Salud, Vale la pena ver y se ha etiquetado como alimentos, almorzar, ayuno, cancer, cenar, diabetes, dietas, Ejercicio, glucosa, grasas, líquidos, nutrientes, presión arterial, triglicéridos. Marca el vínculo permanente.